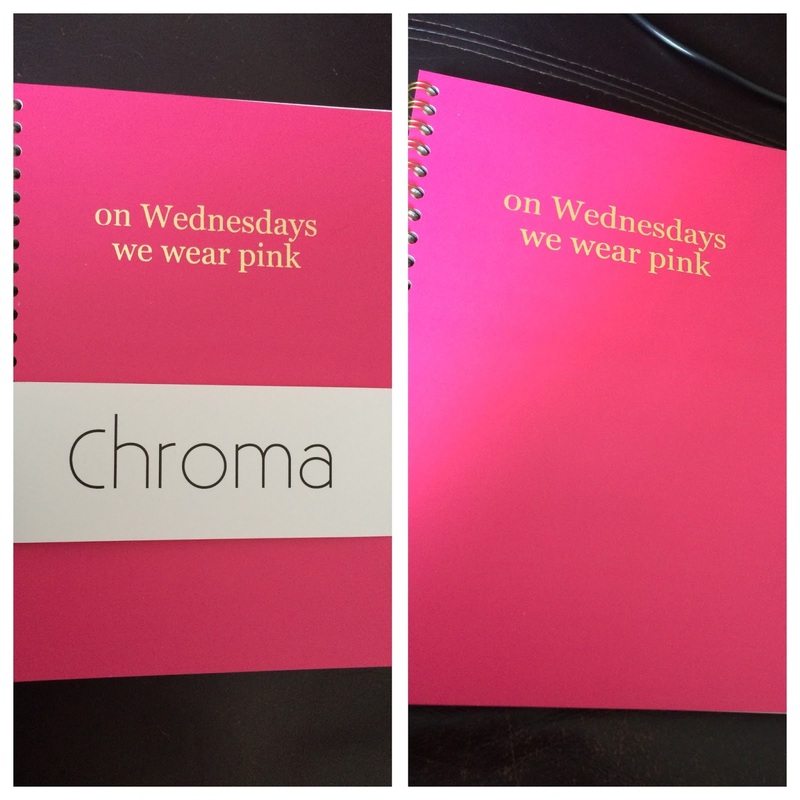 I was recently given the opportunity to review one of Chroma Stationery's personalised notepads and I jumped at the opportunity. As you guys will know, I adore stationery so I couldn't pass up the opportunity to get a completely personalised notepad. Ahhh, how BEAUTIFUL is it?! The pages are super thick and good quality as they're 80GSM and the cover is 300GSM. I love A5 size for carrying around at work, it's not too big that it's imposing and heavy - but just big enough to write down a decent amount if need be. This notepad actually feels super lightweight despite the actual pages being thick and durable. There's 50 pages in there so that should be enough to last anyone a while! I can tell that I'm going to wait ages to use this as I find it so hard to 'mess up' a pristine notepad (as silly as it sounds as that's what it's for!). It looks so gorgeous on my desk with all my pink and gold accessories. I'm so impressed with the quality of Chroma notepads and it actually came super quick, I chose my specification on Monday and it arrived on Wednesday! A 2 day turnaround for a customised item is pretty spectacular. Be sure to follow Chroma on Instagram, Twitter and Facebook!